Home / غير مصنف / Eclipse 2019: Where is the best place on earth to view the Super Blood Wolf Moon? 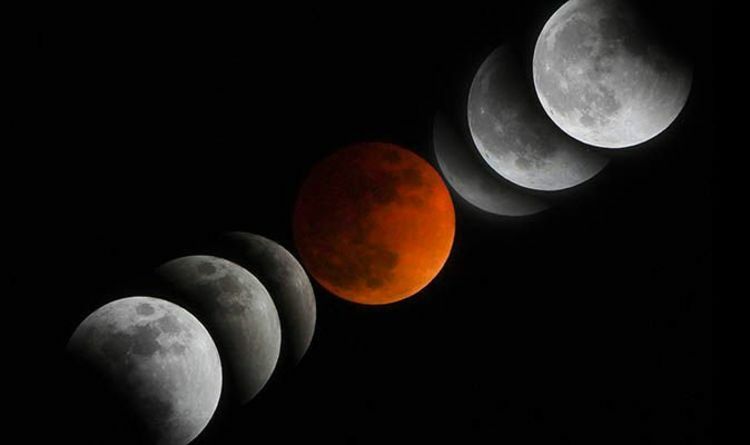 This lunar event will combine two lunar phenomena: a supermoon - where the moon appears bigger and brighter than usual and a blood moon - a total lunar eclipse. The ‘wolf’ originates in Native American culture, and is given to the January full moon each year. Read on for everything you need to know about this magical event. Lunar eclipses can be visible from everywhere on the night side of the Earth, if the sky is clear. You can have a look at the map below to see if all or part of the eclipse will be visible from where you are. In the UK, we will be treated to a view of the full eclipse. The magical eclipse will occur on Monday, January 21, in the early hours of the morning. The partial eclipse begins at 3.33am GMT, with the total eclipse beginning at 4.41am and finishing at 5.43am. The whole show will be over by 7.48am. Before this eclipse, however, there is another treat for sky gazers coming up - though unfortunately, this one won’t be visible for those of us in the UK. A partial solar eclipse is set to peak in the Eastern Hemisphere on Sunday, January 6. Today’s partial solar eclipse will see up to 40 percent of the sun disappear. During the partial eclipse, the moon will pass between the earth and the sun. The result gives us the eclipse, with a big chunk of the sun seemingly vanishing into darkness. Millions of people from Russia to Taiwan will be able to witness this dazzling sight. The most optimally placed nations to see the eclipse are in the North Pacific and East Asia regions. These include Beijing in China, Irkutsk in Russia, Tokyo in Japan and Taipei in Taiwan.